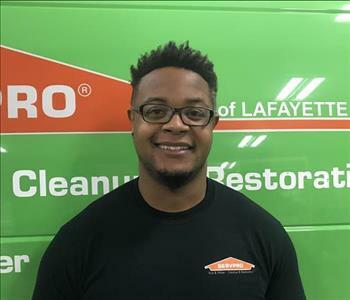 Greg has been a part of the SERVPRO family since 2009, and has been an owner and the operations manager of SERVPRO of Lafayette since they opened in 2014. Greg also has management and leadership experience that goes back over 10 years. He now oversees all production work and day-to-day operations at SERVPRO. Greg holds many certifications including water damage restoration, mold remediation and trauma scene cleanup. Outside of work you can find Greg enjoying some favorite things like largemouth bass fishing, or watching a good science fiction movie. 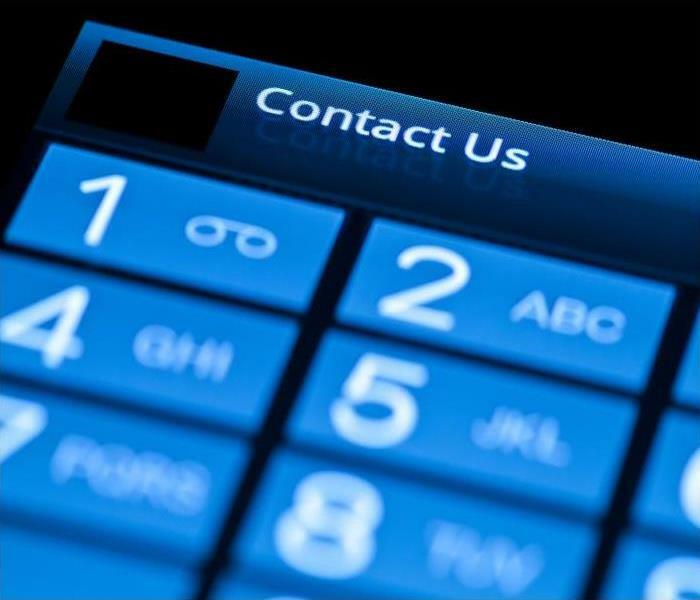 You can call and speak to Greg directly at (765) 420-0077. 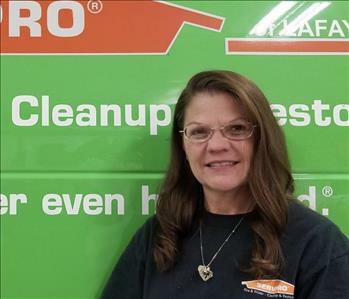 Ashley is a Crew Chief / Estimator and lead cleaner at SERVPRO of Lafayette. She has been with us since 2016. She has experience in all areas of production including water, fire, & mold restoration, HVAC, and general cleaning jobs. Ashley has 3 IICRC certifications including her Fire & Smoke Restoration Technicican (FSRT), water restoration technician (WRT) and Applied Structural Drying (ASD). Ashley has also obtained her Infection Control Risk Assessment (ICRA) accreditation. In her free time you can find Ashly enjoying movie time with her family. Dan Cross has been a Production technician at SERVPRO of Lafayette since 2016. Dan has a wealth of knowledge in the construction industry including rough carpentry, drywall and plumbing. Dan is also very knowledgeable in automotive mechanics. He has been a part of SERVPRO since early 2016. Dan works hard every day, and enjoys demolition. Originally from Leroy Illinois, in his free time he enjoys watching full metal jacket or building things at his workbench at home. Jeanelle Goodar is our administrative assistant and communication hub at SERVPRO of Lafayette. Originally from Chicago, Jeanelle has been a part of our team since April of 2017. She has many years of customer service and office operations. Jeanelle's favorite thing about SERVPRO is the people she works with and the satisfaction of helping people. Jeanelle likes to unwind by Listening to music and writing Poetry. Misty Gerlach, a Lafayette native, is a production technician and assistant warehouse manager with SERVPRO of Lafayette. Misty has many years of customer service experience before coming aboard in 2018. She holds a fire & smoke restoration technician certificate (FRST) by the IICRC. In her free you might find Misty keeping busy with her craft projects or enjoying comfort food while watching Its a Wonderful Life. 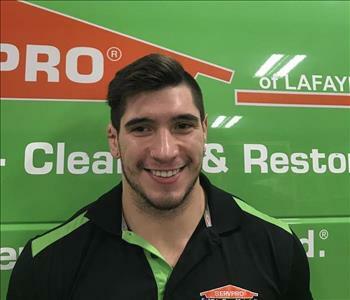 Anthony Sanchez is a Crew Chief & Estimator that joined SERVPRO of Lafayette in August of 2017. "Tony" a Chesterton Native, has 2 IICRC certifications including water I and Applied Structural Drying. Tony has plenty of experience with residential and commercial settings. In his off time you can find Tony at the gym, enjoying a good cheeseburger or dreaming of traveling back to Australia. Clifton Marcus aka "Cliff' Came aboard with SERVPRO of Lafayette in June of 2018. 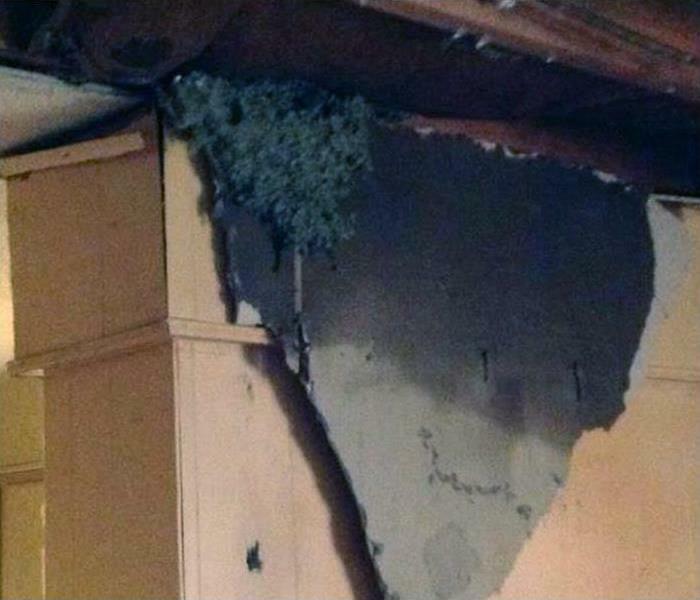 Cliff has been exposed to all SERVPRO services including, water, fire, mold, & trauma. Cliff's favorite thing about SERVPRO is that there is something new every day. Cliff became a certified water restoration technician in November. Originally from Oswego, IL, outside of work you can find Cliff watching Football or hitting the weights. 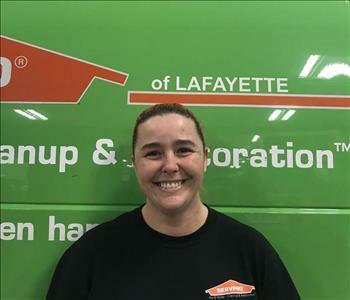 Samantha arrived at SERVPRO for Lafayette in October of 2018. Samantha is a Monticello native and has many years of customer service experience under her belt. Samantha has been focused on learning all aspects of water and fire restoration. Sam's favorite thing about SERVPRO is the joy of helping people. A perfect day off for Sam involves curling up on her couch watching Bennie and June over a hot pizza.